It has been a long long few days in the Little Z household. Mainly because we’ve all been ill but on the plus side it was my little brothers engagement dinner this weekend. Unfortunately with all the germs and illness bounding about, and little Z becoming poorly we almost didn’t make it. The good news is that we did. Here are some of our highlights and pointers on how not to attend your brothers engagement dinner. Spending the majority of the night tending to a whimpering and poorly Little Z who won’t or can’t quite tell you what’s wrong. Convincing yourself, that despite the bad night, we’re still going to the dinner and all will be fine by morning. Swinging from thinking you’re going to be late to possibly not making it to probably not making it to admitting defeat around an hour before you have to leave and calling your brother to say you can’t go. Watching Little Z start suddenly bouncing around completely fine despite the bad night. You think the visit to the loo did it! Making a run for it, grabbing everything in sight and attempting to get to the spot where everyone is meant to be meeting. Thankfully making it on time, then reluctantly shuffling onto the mini bus that your dad has hired on account of half the passengers being struck down with bad colds. Having Little Z display impressive projectile vomiting, twice, all over my outfit. Then carry on playing seconds later. Having to stop at a service station and spend half an hour soaping and washing dress using the rubbish soap dispensers and the taps you have to press down every 5 seconds. Re-enacting the famous Marilyn Monroe scene completely incorrectly using a Dysons handryer, in a bid to dry dress and stop it smelling of sick. Feeling like you’re in a scene out of ‘East is East’ and wanting to shout “The Indians are ere!” as the mini bus pulls into its destination spot. Enjoying the engagement dinner with the “new family” whilst praying Little Zs meal doesn’t make an encore. Driving home thankful for no more sick but wondering if pre-school is happening in the morning. This entry was posted in Toddler and tagged going out with a toddler, Going to an engagement with a toddler, toddler outing. Bookmark the permalink. :))) Trust a child to put you through it. Can only imagine how difficult it was do deal with that dress with those rubbish washroom taps. Oh my goodness! What a complete nightmare. This would be my absolute idea of hell. Am impressed that you are able to laugh about it enough to write about it already! Oh dear lol, but bet you are glad that you didn’t miss it. Iona@Redpeffer recently posted…This photo may not look like much but…. Gosh, what an eventful effort. Am glad you made it, but it did make me chuckle! awww honey i am so so pleased you actually made it there even with all the sick!! i am so pleased you had no more sick on the way home! Oh no what a total nightmare for you. But I must admit the Marilyn Monroe scene made me chuckle. Hope everyone’s well now! suzanne3childrenandit recently posted…Am I the Only One? oooooh no I cant even imagine x things us poor mums go through x hope Z is better now. Clearly not a funny situation but the way you’ve written it, certainly is! Made me chuckle so much I read it out to The Bloke. OMG what an eventful night you had. I’d have gone home if one of mine had been sick on me. Hope you are all feeling better and congratulations to your brother. Sorry you have all been poorly but glad you managed to make what sounds like a hilarious meal! ‘The Indians are ere’ lol. katie recently posted…Do you ever get the feeling you are being watched? Honest Mum recently posted…Samsung are Launching People Like You and I! Hee hee! Sorry but had to chuckle at this – reminded me of my poo story from a couple of weeks ago. The things we have to deal with as Mummys eh? Great post! Oh dear, that’s a catalogue of disasters! Hope your brother knew how much effort you went to for him! 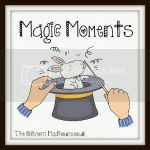 Jane @ northernmum recently posted…Miracle working, or is it magic? Ruth’s all sorts recently posted…Milking it with milkshake – wot so funee? Oh dear I feel for you!!!! But glad you didnt miss the engagement! Katie @mummydaddyme recently posted…‘My Fitness Mission’ – February. Hahaha I’m glad there was no more sick though and lol at the hand dryer incident! oh the joys! my daughter used to throw up in car all the time once resulting in her going to a party in her little brother’s spare clothes..
Leanne Rain recently posted…Maclaren Cath Kidston & My Obsession for everything has to Match! OMG Noooooo!! Sounds like little Z was the star of the show! Hope he’s ok now!! Oh no! You’re very resilient! It’s so hard when you realllly want/need to do something and you can’t quite decide if the kids are up for it!